Thanks! Cool definitely describes the weather! ah he know he is cool! Hee hee, Buggles or Biggles?! The flying boy? 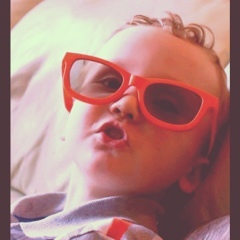 who would have thought 3d glasses would look so retro!